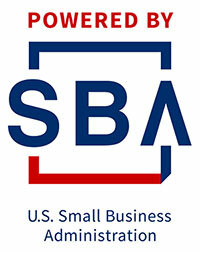 Considering one of New Jersey's small business certifications? This webinar is a great opportunity for you to learn about the certifications needed to do busines with government and even large corporations. Participants will learn about the different types of small business certification programs, eligibility requirements, as well as how to apply for and leverage these certifications for their business. TOPICS to be covered: - Benefits of Small Business Certifications. - Eligibility requirements for SBE/MBE/WBE/VOB Certifications - Small Disadvantaged Business Certification - Woman Owned Small Business (WOSB) - Certification Criteria, Process & Fees About the presenter Jinni Rock-Bailey Jinni Rock-Bailey is the President of Rock-Bailey Enterprises, Inc. a human resources consulting firm. She is considered a best practices guru in the fields of Human Resources, small business consulting and management training. She has created a successful practice through her ability to teach by sharing.